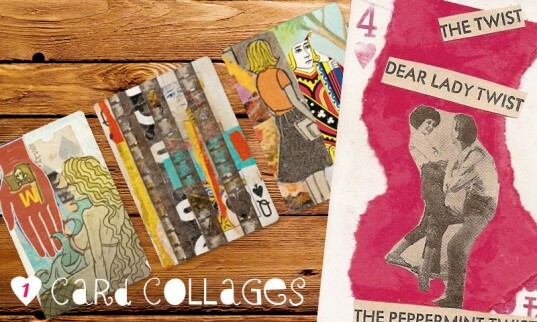 We've found 7 sensational DIY Valentine card projects that are not only doable, they're daring and different and dandy. From collages to edible cookies, flowering cards to cucumber paper, you'll have fun crafting up these creations! 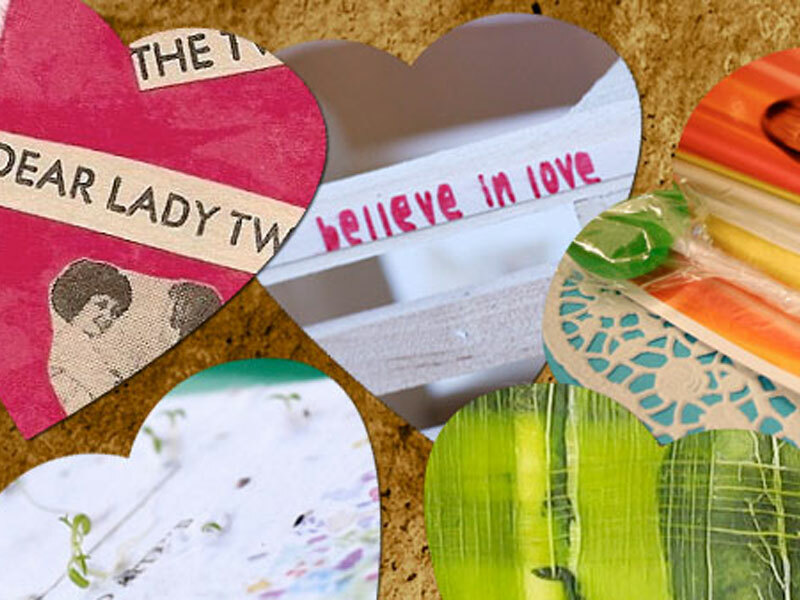 And these homemade, one-of-a-kind cards will be truly treasured by their wowed recipients! Great for those kids who would like to share Valentine greetings with many, each deck of cards yields 13 heart-printed options (26 if you decide to use the diamonds, and 39 if you push it with the spades). Customization can be as simple as punching a hole and tying on a bit of ribbon, or as elaborate as illustrating each card with tiny Valentine characters. There are a host of great ideas in the book Let’s Play Cards: How to Turn Playing Cards Into Art (with a large selection of pages ready for view via Google books). This cute, minimalist idea is derived from a ‘friendship’ bracelet I once made for my son. Using a fine tip permanent marker, simply write a cute phrase on a broad stretched rubber band. When released, the message becomes illegible. The recipient can then stretch the band to decode the hidden message. To present the gift as a card, simply stretch the band around a 4×6 piece of card stock (hand illustrated for bonus points). Check out Dr. John’s sneaky herbal lollipops. Can it be true? A cavity-fighting candy? True or not, here is a nifty way to present lollipop Valentines to friends. The trompe l’oeil cards only take a few minutes to make, but the impression will be long-lasting. And pairing a sweet treat with a photograph will really put the sentiment over the top! A card that tastes as sweet as it looks. Cookie cards are great because you can simply modify your favorite cookie recipe to complete this Valentine that’s good enough to eat. You will need to get creative with your cookie-cutting, and might need to procure an icing pump, but not much else will change in the standard baking procedure. Kudos if you find a way to work in that healthy veggie they’ve been trying to avoid. Side note: Fresh-baked, heart-shaped mini-cookies are also a great Valentine for classmates. Seeded paper has been around for some time now. So much so that it’s available at most craft stores. This means you can approach this project from 3 degrees of difficulty. 1) You can simply go out and buy pre-seeded paper and create a card from it. 2) You can purchase seed sticks from your local home and garden store and affix them to a store-bought or DIY card (paper decomposes when planted). 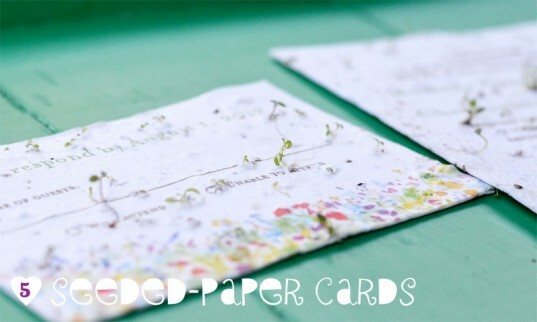 3) You can go all-out and create your own seeded paper from scratch. Instructions on how do do this are outlined in the link below. We’ve all seen bowls made from shellacked vegetable parchment. So why not cards? Here are detailed instructions on how to go about making your own paper from thinly sliced fruits and vegetables in order to surprise your Valentine. Unfortunately, because of the extended drying involved in the process, it’s questionable as to whether or not the end result is edible. In other words, it only makes sense to present these cards to older kids or adults. Great for those kids who would like to share Valentine greetings with many, each deck of cards yields 13 heart-printed options (26 if you decide to use the diamonds, and 39 if you push it with the spades). Customization can be as simple as punching a hole and tying on a bit of ribbon, or as elaborate as illustrating each card with tiny Valentine characters. There are a host of great ideas in the book Let's Play Cards: How to Turn Playing Cards Into Art (with a large selection of pages ready for view via Google books). This cute, minimalist idea is derived from a 'friendship' bracelet I once made for my son. Using a fine tip permanent marker, simply write a cute phrase on a broad stretched rubber band. When released, the message becomes illegible. 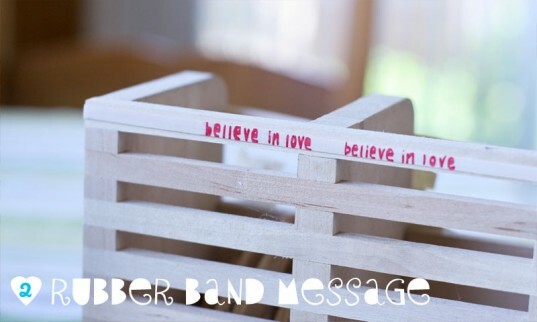 The recipient can then stretch the band to decode the hidden message. To present the gift as a card, simply stretch the band around a 4x6 piece of card stock (hand illustrated for bonus points). DIY pop-out lolly cards for Valentine's Day. Check out Dr. John's sneaky herbal lollipops. Can it be true? A cavity-fighting candy? True or not, here is a nifty way to present lollipop Valentines to friends. The trompe l'oeil cards only take a few minutes to make, but the impression will be long-lasting. And pairing a sweet treat with a photograph will really put the sentiment over the top! 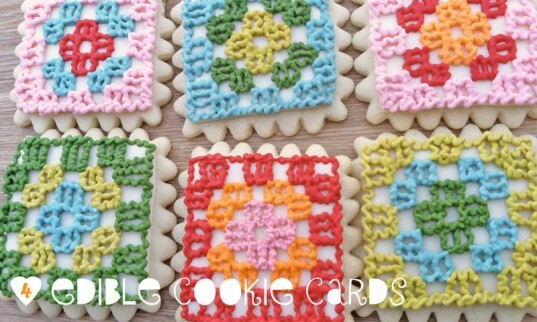 DIY edible cookie cards for Valentine's Day. A card that tastes as sweet as it looks. Cookie cards are great because you can simply modify your favorite cookie recipe to complete this Valentine that's good enough to eat. You will need to get creative with your cookie-cutting, and might need to procure an icing pump, but not much else will change in the standard baking procedure. Kudos if you find a way to work in that healthy veggie they've been trying to avoid. Side note: Fresh-baked, heart-shaped mini-cookies are also a great Valentine for classmates. DIY seeded paper cards for Valentine's Day. Seeded paper has been around for some time now. So much so that it's available at most craft stores. This means you can approach this project from 3 degrees of difficulty. 1) You can simply go out and buy pre-seeded paper and create a card from it. 2) You can purchase seed sticks from your local home and garden store and affix them to a store-bought or DIY card (paper decomposes when planted). 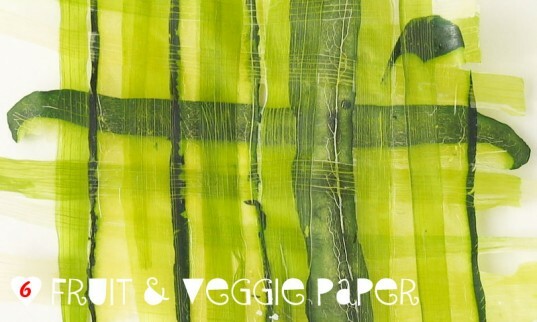 3) You can go all-out and create your own seeded paper from scratch. Instructions on how do do this are outlined in the link below. We've all seen bowls made from shellacked vegetable parchment. So why not cards? Here are detailed instructions on how to go about making your own paper from thinly sliced fruits and vegetables in order to surprise your Valentine. Unfortunately, because of the extended drying involved in the process, it's questionable as to whether or not the end result is edible. In other words, it only makes sense to present these cards to older kids or adults. Boys typically get a sour deal on Valentine's Day. They either get left out, or have to uncomfortably endure a bunch of pink, plush PDA in order to score a sweet treat. Not this year! 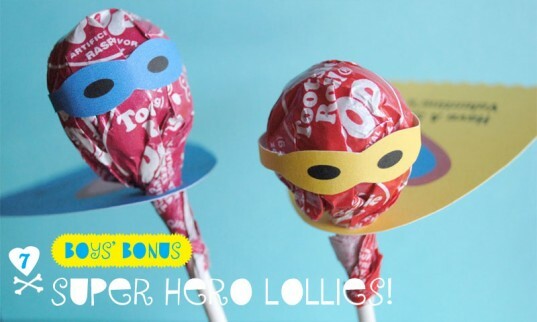 Here's a super idea from Zaka Life: Outfit a few lollies in hero garb using their downloadable templates. The cut-outs include capes, masks and all. "I've learned not to place anything else like, Be my Valentine or Heart-breaker on them," says the creator. "Like a typical little boy, he does not want to hear any talk about liking girls."